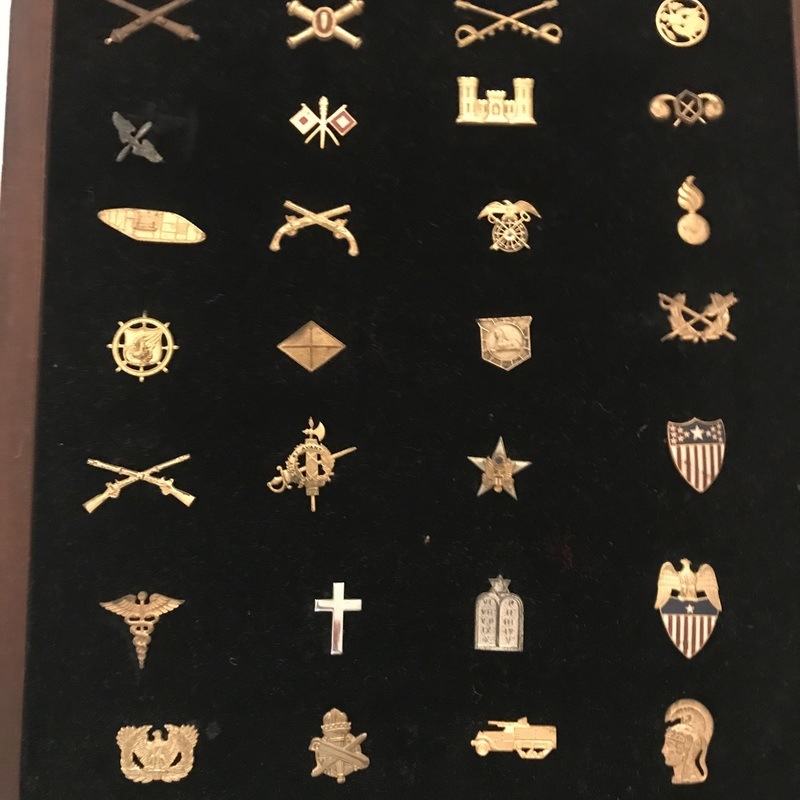 This is a collection of various World War II era military pins from all different branches and divisions that have been nicely mounted for display and preservation. There are 28 pins in total in the display. The estimate is based on actual recent past recorded auction sales of comparables. Retail 'asking prices' can be higher and vary.